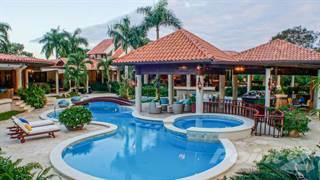 Searching homes for sale in La Romana, Dominican Republic has never been more convenient. 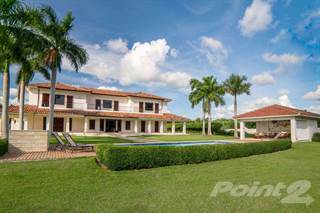 With Point2 Homes, you can easily browse through La Romana, Dominican Republic single family homes for sale, townhomes, condos and commercial properties, and quickly get a general perspective on the real estate market. Point2 Homes gives you far more than a simple list of houses for sale. Get instant access to loads of relevant information about La Romana, Dominican Republic real estate, including property descriptions, virtual tours, maps and photos. If you like a house for sale and you want to speak with a professional, simply contact the listing agent right from page of listing details. Or if you want to talk to an agent before anything else gets done, you can click the Tools tab and Find an Agent – you get a list of real estate agents in La Romana, Dominican Republic, all ready to give you top-notch professional advice on house prices and more detailed information about your target area. Use the map view to find homes and apartments for sale based on amenities and features in La Romana, Dominican Republic that you may want close by. You can select your preferred area or neighbourhood by using the radius or polygon tools in the map menu. Filter among the 141 listings in La Romana, Dominican Republic, based on real estate price drops in the past six months, so you’ll never miss a bargain. Get new listings in your inbox, daily or every week, based on your preferences, by simply saving your searches. All it takes is two clicks. Located in the southeastern part of the Dominican Republic, La Romana is the seventh largest city in the country and is inDOeasingly becoming a major tourist destination. There are approximately 215,000 people living within the metropolitan area of La Romana. The city itself is 71.63 square miles in size. La Romana is unique in that it is considered a company town. Home to the Central Romana Corporation as well as boasting a robust tourist industry, La Romana has a nearly 100% employment rate. There are a few schools offering higher education in La Romana including Saint John College and Trace La Romana. Culture and history play a major role in La Romana and all over the Dominican Republic with roots dating back to the early 16th century when the Spanish first arrived on the island. Although La Romana was not founded as a city until 1897 when it was just an oil town, there is a lot of Spanish influence seen all over the city. Over 80% of the population in the Dominican Republic identify as Catholic and there are many stunning churches throughout the city such as the Iglesia de Santa Rosa de Lima Church – the first one built in La Romana. La Romana was able to grow steadily after its founding through the sugar industry, and in 1960 Gulf + Western Industries began developing the area and investing in schools and infrastructure. Most of the influence on the economy is through tourism with many resorts and hotels located right along the Caribbean Sea. La Romana is within a sub-tropical climate featuring green hills overlooking the Caribbean Sea.For most of the year, the average high temperatures are in the 80s and reach into the 90s on average during July, August and September. The coldest months are January through March with lows dipping into the mid-60s. October is the rainiest month, averaging 6.5 inches of precipitation. Real estate and rentals are centered around the golf villas and oceanfront properties. Golfers are delighted to spend time playing rounds on several championship courses; the DientesdelPerro, or Teeth of the Dog, is one of the most popular courses. The tropical feel and opportunity to spend time on the water drives the desire to call La Romana home. Condos and a variety of homes in various price ranges are available for purchase. La Romana has a tropical feel, a Caribbean lifestyle and lots of beauty, sofor many it’s a good place to live. The economy is strong and the high employment rate makes it a great location to call home in the Dominican Republic. Home to the Altos de Chavon Regional Museum of Archaeology, this museum tells the history of the people of the Dominican Republic. It features many artifacts and exhibits nestled in a small, authentic European-style building.The Eduardo Galeria de Arte is an art gallery located in La Romana. From department stores to smaller shops near the resort areas, there is always access to the latest fashion and souvenirs. Afterwards, enjoy some time at one of the many beautiful beaches including those at Isla Catalina, Playa La Caleta and Playa Bayahibe. La Romana hosts many festivals throughout the year. One of the biggest isthe Dominican Carnival, with roots dating back to 1520 and featuring parades and other events. Festival Procigar is another major festival in La Romana and includes beach excursions, golf tournaments, cigar making workshops and more. Altos de Chavon is a unique village near La Romana designed to look like a Mediterranean style village circa 16th century. Sculpted in stone, Altos de Chavon is home to the Stanislaus Church which overlooks the beautiful Chavon River. Tourists and residents alike enjoy exploring this small village and dining in one of the restaurants or purchasing local arts and crafts. This village also features a 5,000 seat amphitheater which hosts many big name concerts; Frank Sinatra has even played it. There are three casinos in La Romana, located at the resorts. Many of the hotels offer shows and entertainment options including nightclubs at their casinos. The casinos in La Romana are Dreams La Romana Resort & Spa, Gran Bahía Principe La Romana and Dream Casino Dominicus. Baseball is big in the Dominican Republic, including La Romana, with games being played at Estadio Francisco Micheli. Home to the Torosdel Este, this team won the championship in 2011. La Romana has plenty of options for neighborhoods and districts depending on what you want to see and do and where you want to live. Many of the neighborhoods are successful because of their proximity to resorts and golf courses. Bayahibe was originally a fishing village nestled on the Caribbean shores. There are many resorts near Bayahibe and scuba diving is one of the most popular tourist attractions in the neighborhood. Other popular activities include deep sea fishing, snorkeling and stand up paddleboarding. This seaside resort town has one of the most recognized golf courses in the world. Along with its premier resorts, this neighborhood has high-end private villas adding to the affluent atmosphere and ranging in price up to as high as $24 million. 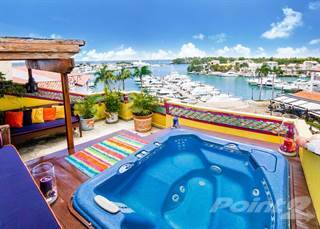 Its stunning view of the mountains and the water adds to the attractiveness of Casa de Campo. Situated atop the Chavon River, Altos de Chavon is a popular destination in La Romana. It is famous for its Mediterranean style architecture as well as cultureand the arts. Golf courses and resorts are what helps drive the tourist economy in La Romana. Along with the Central Romana Corporation, many have come to the city in anticipation of finding work. The area is known mostly for its acres of sugar plantations and resorts which help give it a more prosperous feel. The cost of living in La Romana is generally lower than in the more populated cities of the Dominican Republic such as Santo Domingo in which a three-bedroom apartment can go at twice the cost. The cost of living is a little higher in Santiago but not nearly the difference as with Santo Domingo. The most expensive real estate in La Romana is found along the water where villas can have prices in the millions. The most reasonably priced options can be in and around the city with smaller villas and condos. Many of the newer resort communities feature homes and condos overlooking the gorgeous golf courses. As more development occurs around golf courses and luxury properties, the major market will be for those seeking a second home or looking to retire in a more tropical climate. More resorts and tourist destinations will continue to drive interest in those seeking to call the Dominican Republic their home. According to Insider Monkey, the Dominican Republic is becoming a hotspot for retired senior citizens. In fact, La Romana was considered #2 on their list of best places to retire in the Dominican Republic. La Romana and the Dominican Republic offer a wide array of school options from public to private. The Abraham Lincoln School in La Romana offers education opportunities for Kindergarten through grade 12. Public schools in the Dominican Republic teach predominately in Spanish and private schools skew more toward English as many foreigners send their kids there. Along with the tuition costs of private schools there may also be costs for uniforms, lunches, materials and books. For those attending higher education, the Dominican Ministry of Education provides certificates which generally allow for students to continue education in Europe or the United States. Not all schools meet the standards for colleges and universities based in the United States so it is often advised to ensure the institution has been accredited by the U.S. Southern Association of Colleges and Schools. Some of the higher education schools in La Romana include Saint John College and Trace La Romana.